Players are already jumping on board with the Sega Forever collection, Sega's recently-revealed lineup of classic retro games for mobile devices. Each of the classic Sega favorites the company has released for Android devices include modern gameplay mechanics, and tech-savvy players can make use of Bluetooth controllers to play any of them -- including the Joy-Con controllers that come with the Nintendo Switch. The controllers are tiny and wireless, so they make excellent choices for playing many of Sega's old-school hits. 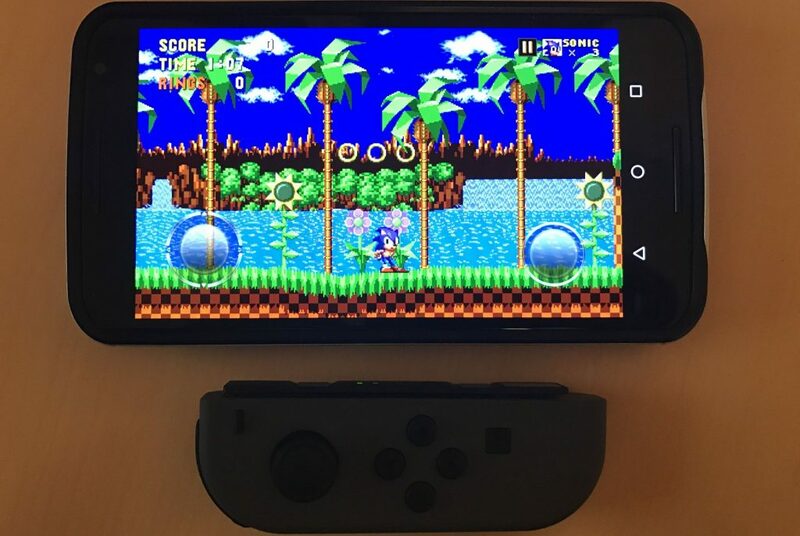 Here's how to get Switch Joy-Con controllers working with Android devices and use them to play Sega Forever titles. Connecting a Nintendo Switch Joy-Con controller to an Android device is very simple. Most Bluetooth-compatible Android devices have a toggle in the pull-down menu or notification area; clicking on it will open up the Bluetooth settings dialog. From there, users need to put their device into discovery mode so that it will begin searching for the Joy-Con. Once that's done, players need to find the sync button on the Joy-Con. Hint: it's between the L and R buttons, kind of tucked away inside the rails. Pressing and holding the button for 10 seconds should allow the Android device to spot the Joy-Con, and pressing the Pair option should do all the rest. Once the Joy-Con has been paired to the device, it should automatically activate for use within Sega Forever games. In fact, the controller should be automatically activated for use within most Bluetooth controller-capable mobile games, so players might want to keep their Joy-Cons around for those times when Switch titles just aren't satisfying the craving. Looking for awesome free-to-play games? We've got a bunch of excellent F2P titles featured over on our list of the Best Free To Play Games.